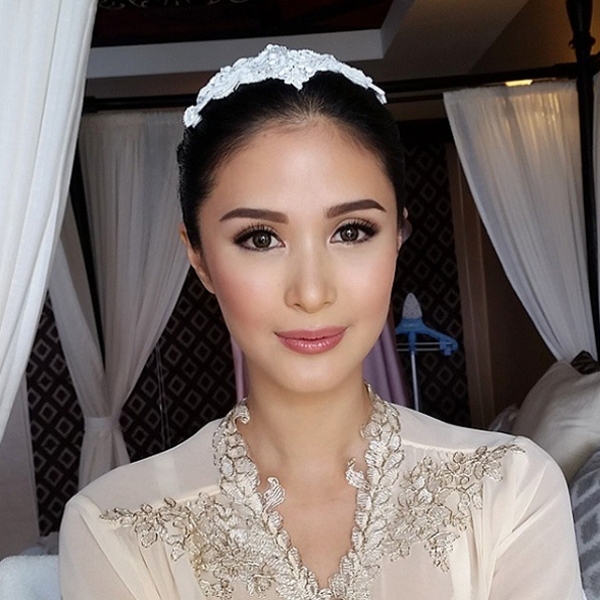 Marian Rivera was pure wedding royalty with her tiara. From beaded lace headbands, tiaras, and flower crowns, picking a gorgeous headpiece can do no wrong for a glowing bride. Check out how these celebrity brides styled their locks. 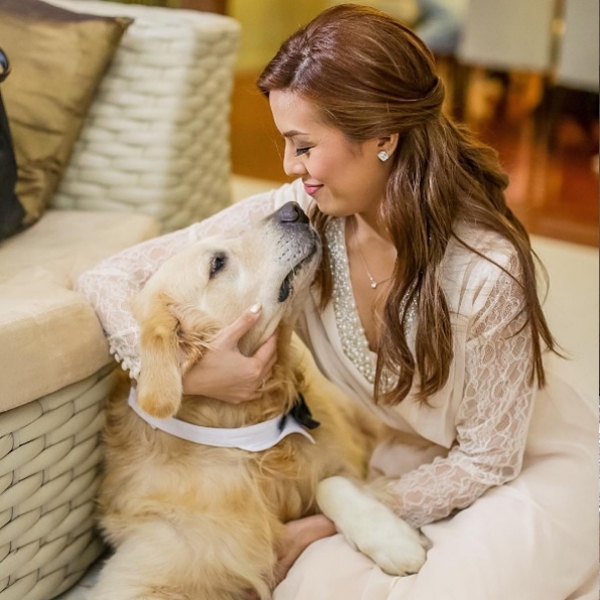 Newlywed Georgina Wilson-Burnand wore a beautiful headpiece to match her dreamy wedding gown. 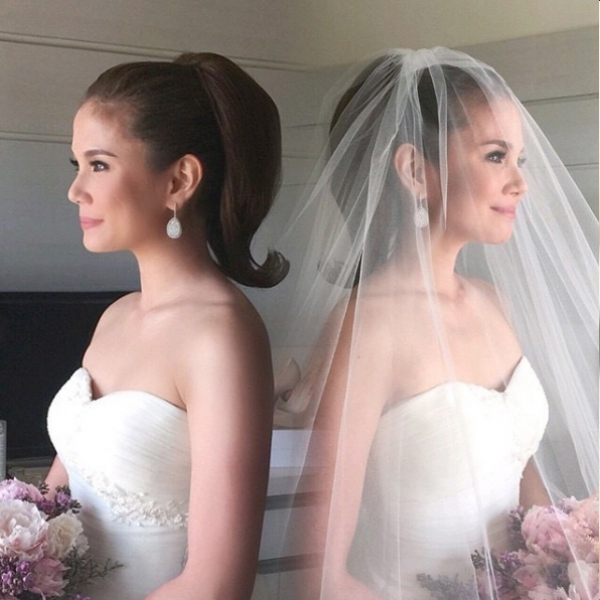 When Marian got hitched to Dingdong Dantes, she donned this gorgeous crown to compliment her braided updo. Bianca’s fresh flower crown looked amazing with her soft waves—at her beach wedding! Heart tied the knot with her hair up in a sleek and classic oversized bun, which she accessorized with a pretty white hairpiece. Undecided whether you want your hair up or down? Why not both? Nikki’s hair color is on point! Love how it added so much depth and dimension to her soft half up-half down ‘do. Toni’s ‘do was simple yet very elegant. Love how her hairstylist added volume to the top of her head. 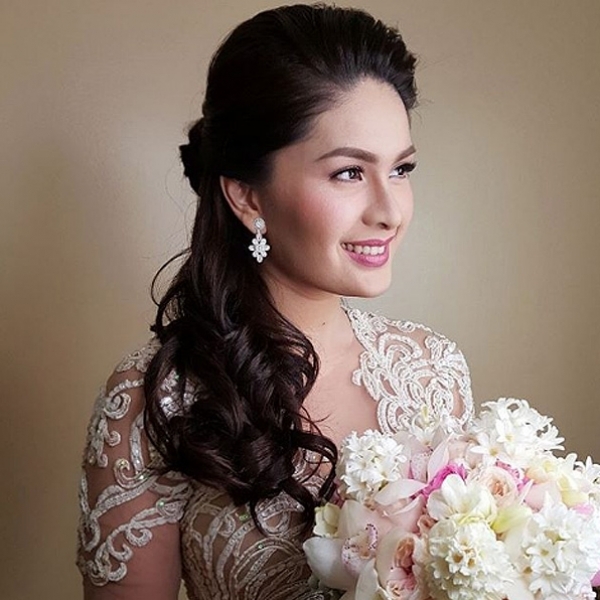 For a more elegant take, you can try Pauleen Luna’s hairstyle of choice. The big curls on the side made this ‘do so regal. You can never go wrong with an updo, but braids and high ponytails are not so bad either. We’re totally feeling this retro-inspired ponytail that Isabel wore for her garden wedding. She actually used hair extensions for this! 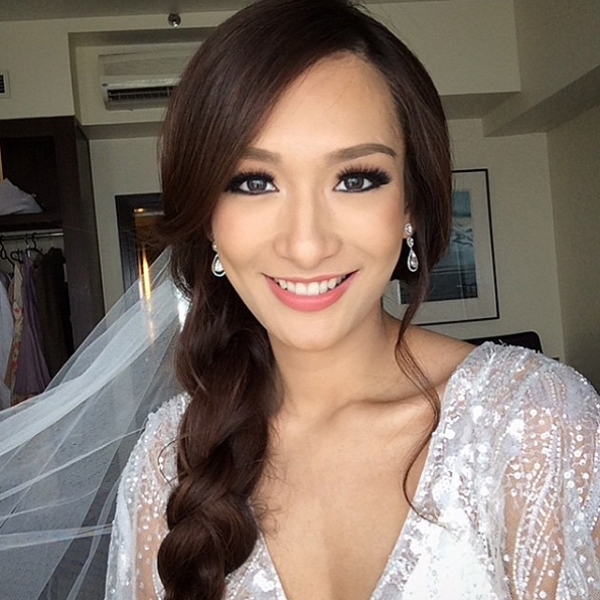 Solenn’s French braided updo was a true winner! Bea walked down the aisle in this undone side braid—perfect for boho brides!